Dance Marathon will return for the third consecutive year to Westfield High School. The initiative raises money and awareness for Riley Hospital for Children in Indianapolis. 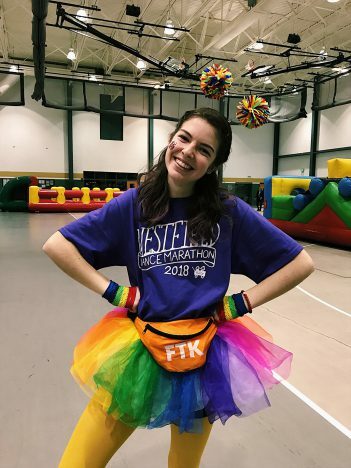 The event will be from 5 to 11 p.m. Feb. 15 inside the Multipurpose Instructional facility at the high school, 18250 N. Union St.
President of Westfield High School’s Dance Marathon Abi Gift said she has been involved with the program since its inception in 2017. The WHS senior said getting people registered this year has been a challenge. WHS Dance Marathon began in 2017, with the inaugural event raising more than $36,000 for Riley. In 2018, the figure ballooned to $73,325. Gift said Dance Marathon is on pace for hitting the goal, but a lot of things need to happen to reach it. Gift said she has always had a passion for supporting philanthropic events. The cause also hits close to home Gift, who lost a childhood friend to brain cancer.